We ran to the sunrise. I was the slowest. The younger men led the pack. But I wasn’t ashamed, rather proud to be in such company with these men (and another slow runner in the bible)…in such a pursuit. Almost 2000 years ago, on a similar morning, two young men set off on a foot race, not with each other but with expectation. The younger reached the tomb first…yet the elder ran straight into the tomb. They were looking for Jesus. This is what we ran for as well…to find Jesus this resurrection morning. The sun met us at the end of our 2-mile run. We gathered around the makeshift altar on a peaceful beach at Manda Bay connected to the Indian Ocean off the coast of Kenya, perhaps similar to the beauty of the garden of the tomb mentioned in the Gospels. We were sweaty, breathless, and alert. We found ourselves connected in disbelief or doubt to those two earliest disciples, Peter and John. They saw and didn’t know what to believe (John 20:9-10). Yet, Christ would later that day reveal his resurrected self to them…but only after first revealing himself to Mary Magdalene (John 20:11-18) and Mary, his mom (Matthew 28:1-10). We, too, eagerly await his revealing; his promised return and creation’s reunion and resurrection (Revelation 21:1-5). Until that day, we find the power and hope of Christ’s resurrected body in the legacy of community that bears his name. As Christ’s body (1 Corinthians 12:27), Christians – “the church” – are the living witness until he arrives to conclude this age. Neither life, nor eternity, would ever be the same. A straight line of hand-placed rocks, each the size of a football, stretched for 9 miles across an ancient desert bowl in Djibouti called the Grand Bara Desert. I couldn’t see where the rocks ended and the desert continued. 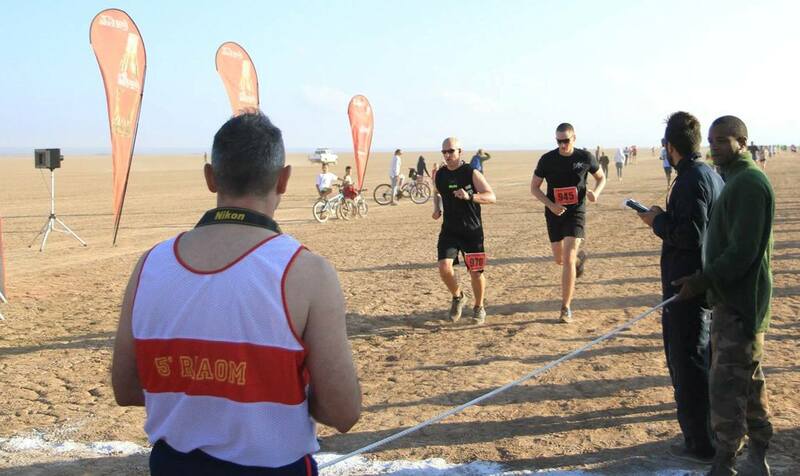 Over 3000 of us rendezvoused at the starting line on a “cold” morning in Djibouti – meaning in the low 70’s. It would soon reach the mid-90’s (in December). We had to race the heat to finish line. The start line wasn’t spectacular. A few French flags and Djiboutian flags and a white chalk line marked the launch pad of this adventure. I was flanked by many of the Soldiers whom I serve and deeply love. After a few initial comments by the hosts of the race, the French 5th Marine Regiment, we readied ourselves for the start signal. It was inbound…but right on time at 0700 that morning. Thunder! Three French Mirage fighter jets marked the start, flying about 500 feet above us. We felt the blast of their pass. It took me a moment to realize I needed to get going. The pack spread long but were funneled into a narrow alley the width of a 2-lane street. 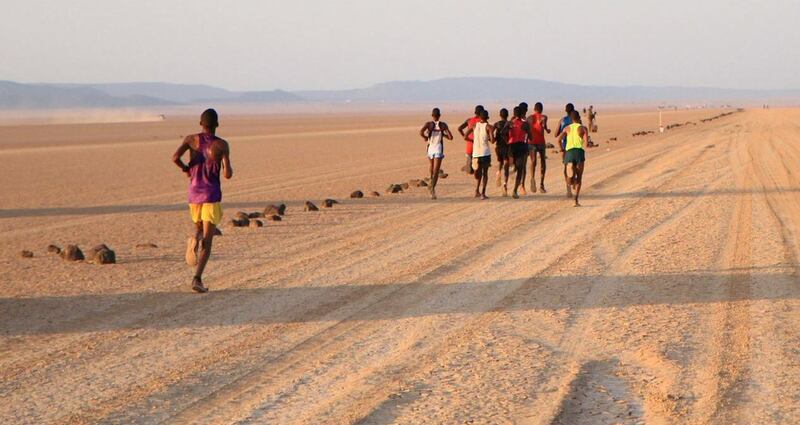 The Djiboutian running team took lead. The “sand” was hard-packed for the most part. It was more of a talcum-powder type dirt than sand. It was a good surface for running. I carried a Camelbak just in case I needed water #bigmistake #100ozExtraIdidntNeed I discovered that there was a water point every 3 miles along this narrow lane. If you’re familiar with me by now, you realize I’d never waste an opportunity like this. Nine miles of this unique race was going to be a great time for meditation and prayer. But don’t let me sound too “super-spiritual” – I listened to a lot of music and talked to a few Soldiers along the way (grunted more like it, as we passed one another). #Soundtrack: RUN DMC, Coldplay, R.E.M. (“Everybody Hurts”), Fitz & the Tantrums, Dave Matthews, Fort Minor, Lifehouse, Linkin Park, Muse, Switchfoot, U2, Fall Out Boy, and the Black Keys among others. But after the distraction of the music got to be too much and its energy wore off, I still had to kick out those last 3 miles. I sensed that nudge… the tug… the whispered invitation… to finish the run with my best running partner. I looked at the expanse of the desert around me. I thought to myself how I’d never want to be stranded in this desolation… this isolation. I kept watching each rock in the line pass behind me. I was impressed by how straight the line of rocks was. That was part of the mental obstacle… running in a straight line without seeing the finish line or being able to reckon how far you’ve gone or how far remains. Plus, as I stated before, the lane was narrow. It was narrow because a straight line tends to create that, plus the French Marines and Djiboutian Army were providing security for the race… helicopters flew overhead, personnel carriers patrolled the sides, and Djiboutian soldiers were stretched the length of the course about 100 yards apart #RunningInDjibouti. To run outside the lane meant danger, no matter how appealing it looked. Straight. Narrow. I recognize these concepts from somewhere else. I was raised with this toxic impression that God somehow was just waiting for someone to mess up so he could kick them off the path… into desolation… into destruction… But that’s not correct at all. Unfortunately, that seems like a widespread misconception these days. God is doing all he can to keep us on the straight and narrow. That is the story of the Hebrew and Christian scripture. God indefinitely pro-acts toward creation and the universe and offers covenant and community. That’s where we find security, not freedom from danger, but security. That’s where we find sustainment, not freedom from hunger, but sustainment. The straight and narrow is not a campground. It is intended to get us to go where we need to go. It’s our choice whether we stay on it or not. We are free to choose other paths, roads, and highways. As for me… I’m aiming for the finish line. 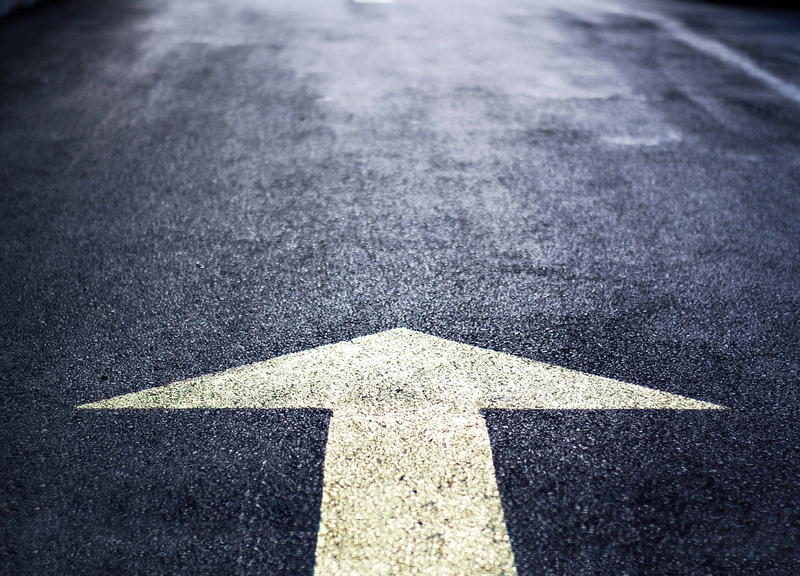 *Many modern translations use the term “small” more commonly than “straight.” However, “straight and narrow” is a term that has been wedged into our vocabulary thanks to the King James version of the Bible. Although, I do not use “small” instead of “straight” to offer this reflection, I am certain it holds true to the deeper scriptural meaning of Christ’s teaching. 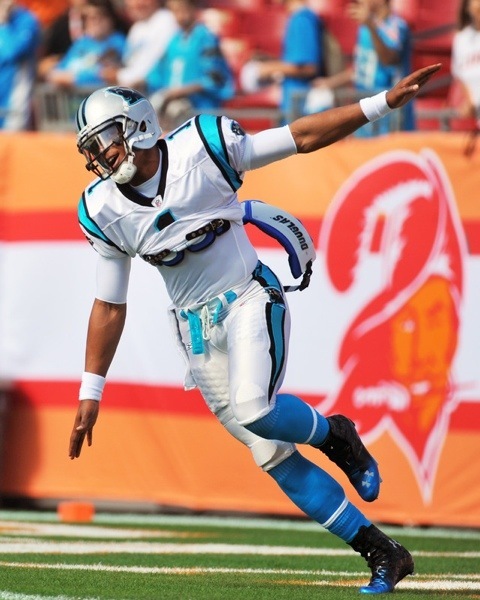 I read a recent article about Cam Newton and how he is bringing fun to the NFL because he displays a kid-like enthusiasm, or as the article stated it – “joy” – to the game. In the midst of a bunch of poor sportsmanship and questionable role-models, Cam gives us a glimpse at the simplicity of having fun like a kid. I like the guy, even though I typically cheer against his team (ever since Auburn). I’m inspired by his joy – “flying” like a kid pretending to be a airplane, miming a Superman shirt rip, and jumping side/back bumps. Joy. Some might comment that they’d be as happy as Cam if they made millions of dollars or got paid to play football, and so on. But, I don’t think so. Joy is a choice. People without joy are people without joy, regardless of their circumstances. There are plenty of wealthy people without joy. And there are plenty of people living in poverty with joy. I’ve discovered this in hills of Appalachia, the villages of Haiti, the mountains of Afghanistan, the roads of Djibouti, the jungle of Kenya, and the streets of inner-city Miami, OKC, and Jacksonville. Therefore, Cam’s behavior confronts me with a challenging question…I’ll get to it in a second. Become like a little kid. Joy. 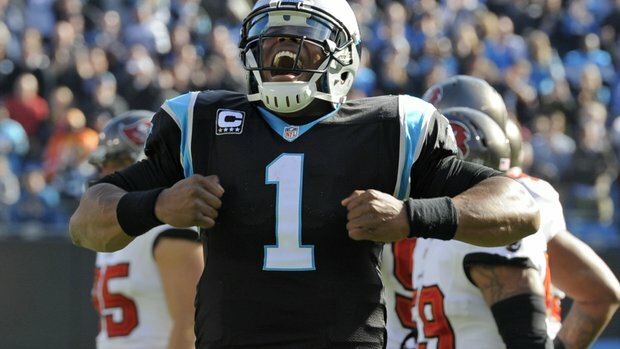 This is what I see when I see Cam’s behavior on the field. The question I ask myself – “Why don’t I do that too?” “What’s keeping me from expressing joy in the work I’ve put my hands to doing?” “How can I finish each day or each task with a double fist pump or a Superman shirt-rip?” This applies to my role as a husband, dad, friend, and employee. It is up to each individual to find or make joy in the work of their hands. No amount of money or other people’s behavior toward you will give you joy. This New Year, I will exercise more fist pumps, high fives, and “Superman shirt rips” as I do my job, love my wife, raise my son, and be a friend. A big “THANK YOU” to my hometown race company 1st Place Sports in Jacksonville, FL for making this event possible. This race has become an annual tradition for me. 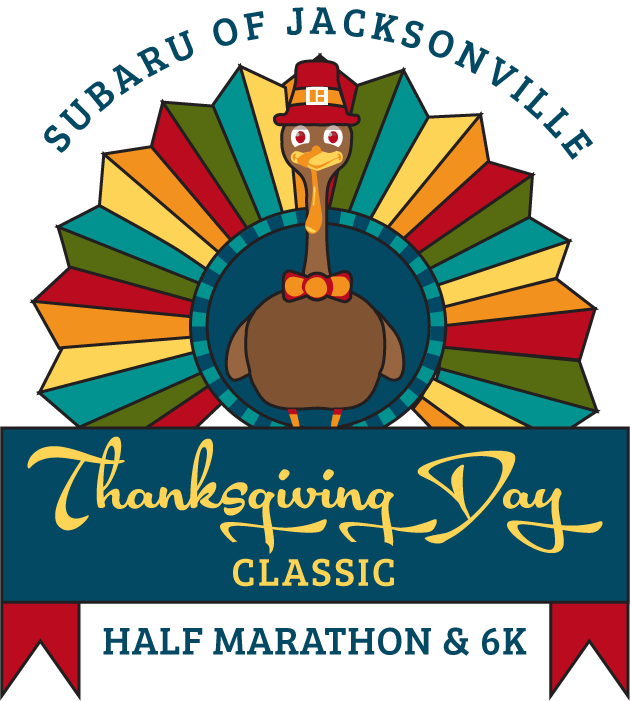 When I discovered I would be deployed and would miss this year’s Thanksgiving Day Distance Classic half marathon, I contacted 1PS and asked if I could register for the race in JAX but run it in Djibouti. I got the thumbs up. Then, I thought that other Soldiers deployed with the battalion would want to run a half marathon also. So I asked 1PS if I could host a remote version of the race. As the Battalion Chaplain, the extra-fun aspect is getting to plan and host this as a ‘Spiritual Fitness Event’ for my battalion. Thumbs up again. So, we are a few days before the race. We have over 150 runners ready to hit the pavement at 0330 (yes…in the morning). We have runners representing each branch of the US Armed Forces, as well as a number of our beloved French 5th Marine Regiment allies. We will each earn our Thanksgiving Day feast later that day. The Word of the Week is “Endurance” which I will share as part of the opening ceremonies.